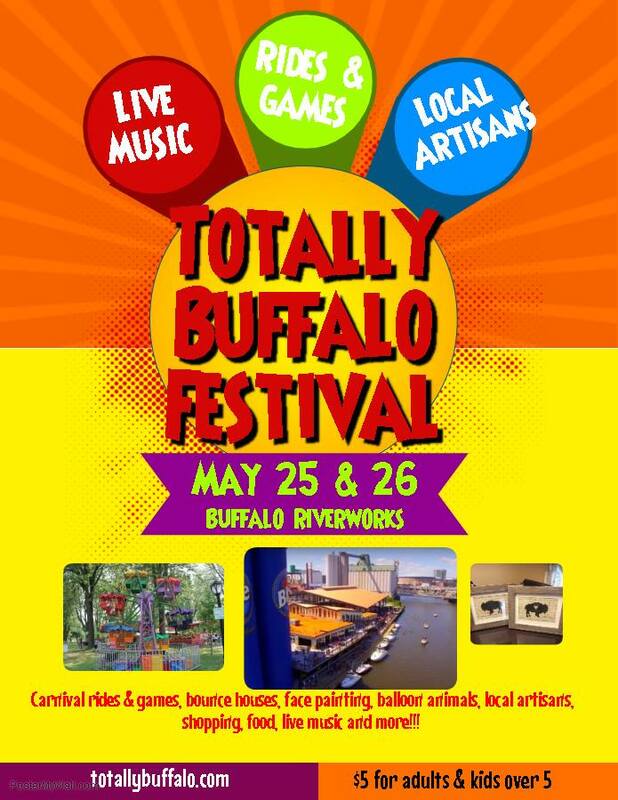 The new & improved Totally Buffalo Festival will take place on Memorial Day weekend, May 25th & 26th, located at Buffalo Riverworks. 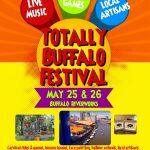 The festival features two days of fun for the entire family including live music, bounce houses and kiddie rides, carnival games, obstacle courses, face painting, balloon animals, local artisans selling Buffalo-inspired products, and much, much more! Admission is $5 per person (free for children 5 and under) and includes all rides and bounce houses. Tickets for this event can be purchased at Eventbrite. 10% of all ticket sales go to Totally Buffalo’s Hope for the Holidays to help those in need in the community.